Would you look at that? I finally made us a summer salad! 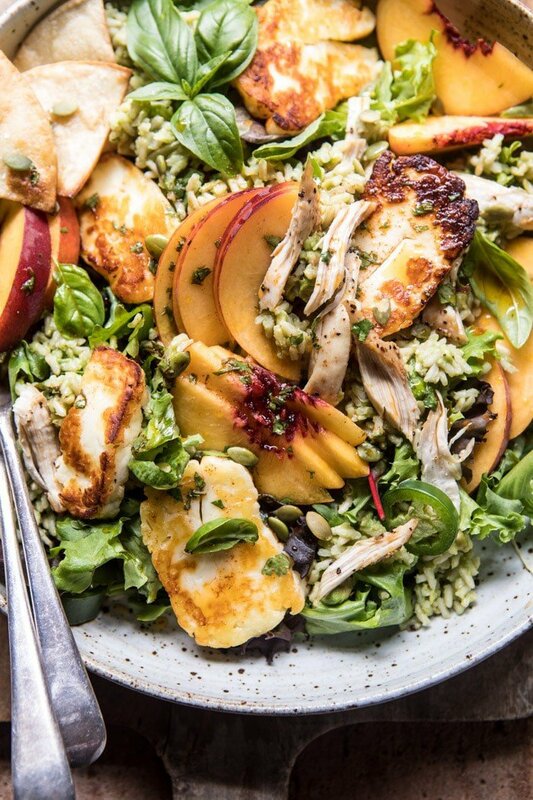 This peachy chipotle chicken tortilla and avocado rice salad…with pan fried halloumi, just had to be shared! And yes, to be expected, I left nothing out of the recipe title…Typical. So you guys, when I dream up a salad in my head, I don’t just dream up a bowl of lettuce with some chicken, and dressing. NOOO. That’s the worst. I can’t do a boring chicken salad for the life of me. Nope, I’m all about the salad that’s a MEAL. A salad that is loaded with veggies, proteins, grains, and okay…maybe just a little cheese too. 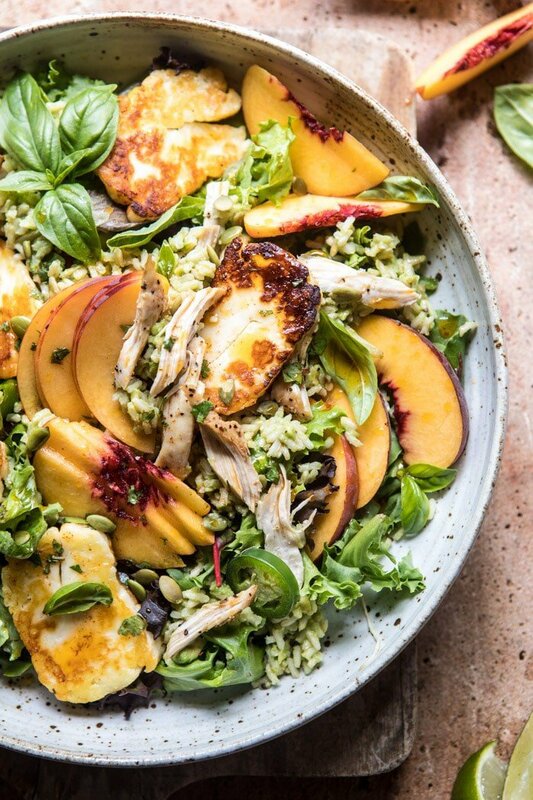 For weeks now, I’ve been wanting to create a peach salad that was delicious, but different from anything I already have on the blog (….see all the salads here). 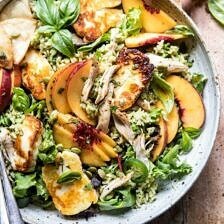 Last summer I made this balsamic chicken and peach salad, as well is this Thai peach quinoa salad. <– both are really good and you should probably check them out if you’re up to your ears in summer peaches. Just sayin’. Not going to lie, for this summer’s peach salad I was a little stumped. So stumped that I actually gave up trying to come up with an idea and decided on a chicken tortilla salad instead. It sounded good and I was happy with the idea, but then I made it, photographed it and decided it was just boring. I mean, it was good, but not good enough. The thing about me is that if I don’t 100% love a recipe, you guys are never going to see it, and that was the case with the previous salad. But then I got to thinking (on a hike of course, because this is when I come up with the best recipes). 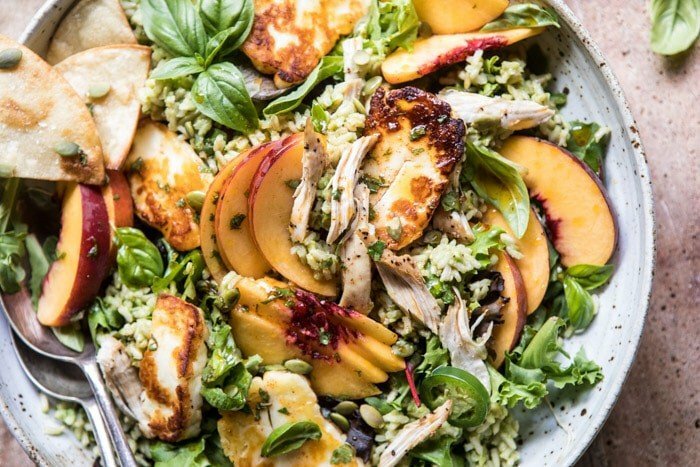 Chipotle, honey, and peaches are a delicious combo, and you know, they might just work in salad form. Then my wheels started turning and the idea of an avocado rice came to mind. Like avocado rice, meaning not rice topped with avocado, but avocado mixed into the rice. And then, somehow fried Halloumi cheese flew into my head, and just like that this salad was born and it pretty much stomped all over the previous (and rather colorless) salad. I made it, loved it, and now I am showing it to you guys, and I am 100% excited about it. Here is the gist of this salad. Start out by making the vinaigrette –> a mix of olive oil, apple cider vinegar, a little lime, a little honey, chipotle peppers, and cilantro (use basil if you hate cilantro). Mix this up in a glass jar and shake, shake, SHAKE. 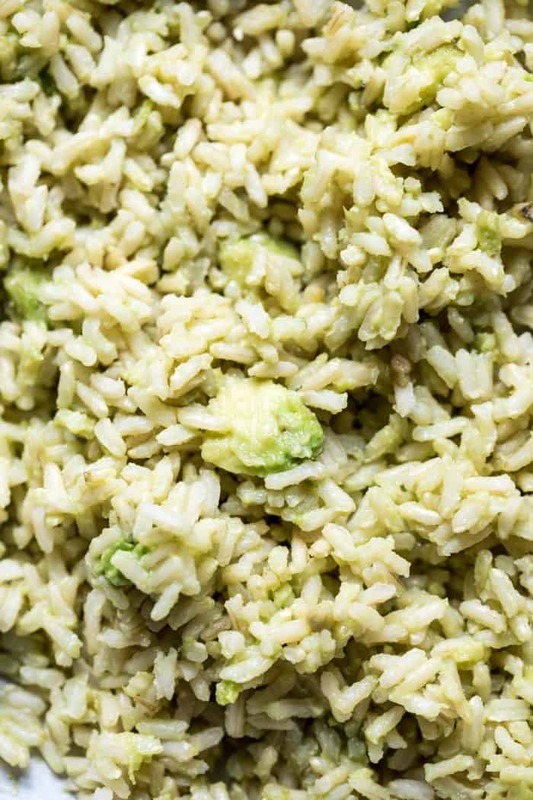 Next make the rice –> brown rice + perfectly ripe avocado + lime juice + flakey sea salt. PERFECTION…I could eat just this rice and be pretty happy. Last up –> pan fried halloumi cheese (my favorite). 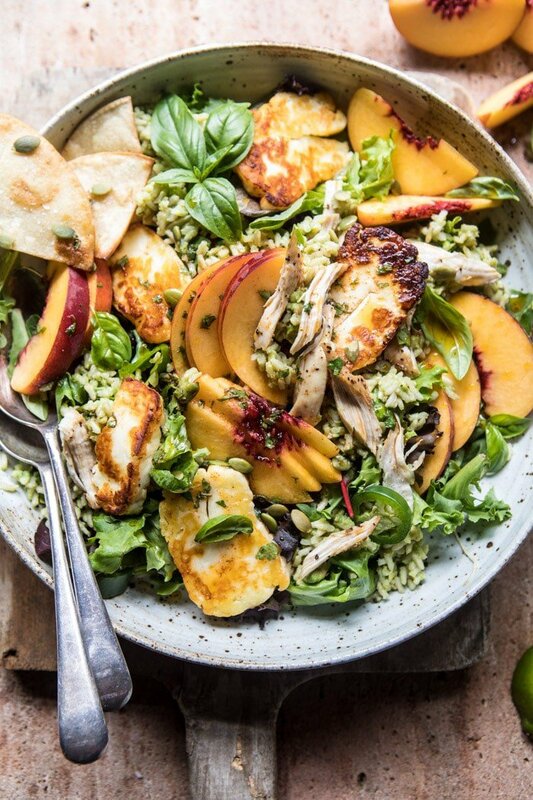 Then just toss your salad ingredients together…hello to mixed greens, bell peppers, fresh peaches, jalapeño, and shredded chicken. Drizzle with the vinaigrette, top with rice, halloumi, and some tortilla chips for crunch. Picture perfect salad = complete. I really cannot express how good this salad is. 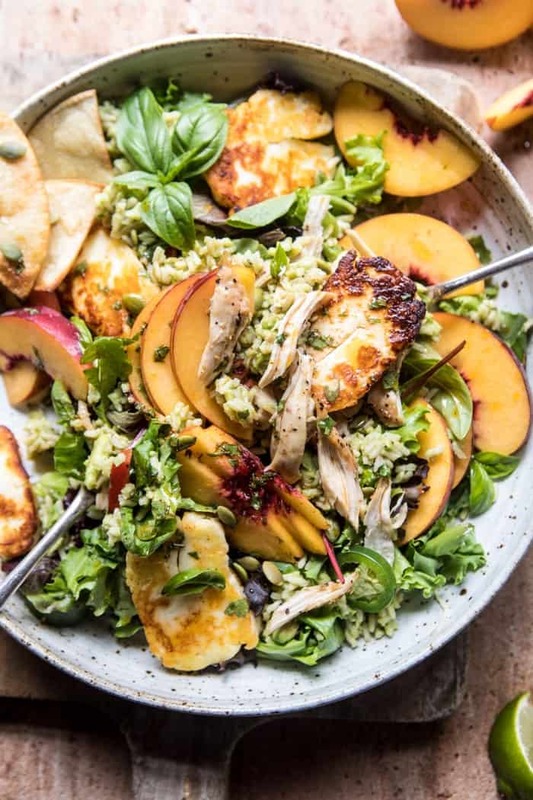 The layers of flavor, the texture, the sweet peaches with the spicy vinaigrette, the salty halloumi cheese with the savory avocado rice. It’s so delicious all together! It really is a salad like no other, and I love it. Whoever defined a salad as a boring bowl of lettuce could not have been more off. Salads should be wholesome, fun, and crave worthy, and this salad is totally that. Enter in the fist pump emoji now. 1. To make the vinaigrette. In a glass jar, combine the olive oil, apple cider vinegar, lime juice, honey, chipotle peppers, cilantro, and salt. Shake to combine. 2. To make the rice. In a medium bowl, stir together the rice, avocado, lime juice, and a pinch of salt. 3. Heat a small skillet over medium heat and add a drizzle of olive oil. Once hot, add the halloumi slices and cook for 1-2 minutes per side or until lightly golden. Remove and drain onto paper towels. 4. 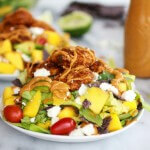 In a large salad bowl, toss together the greens, bell pepper, peaches, jalapeño, and chicken. Toss lightly with a little of the vinaigrette. Sprinkle the rice over top and add the halloumi. Top with tortilla chips, fresh basil, and pumpkin seeds. ps. from here on out all rice now needs to be avocado rice…it’s beyond good. Dinner inspo right there Lady! Imma have to make this STAT! Love that all your brilliant ideas come to you when you’re hiking. I do most of my best thinking right after the gym too! I guess its a normal thing then haha! Thanks Debs, hope you love this!! I love salads that are loaded with ingredients so that it’s filling enough to be a meal. 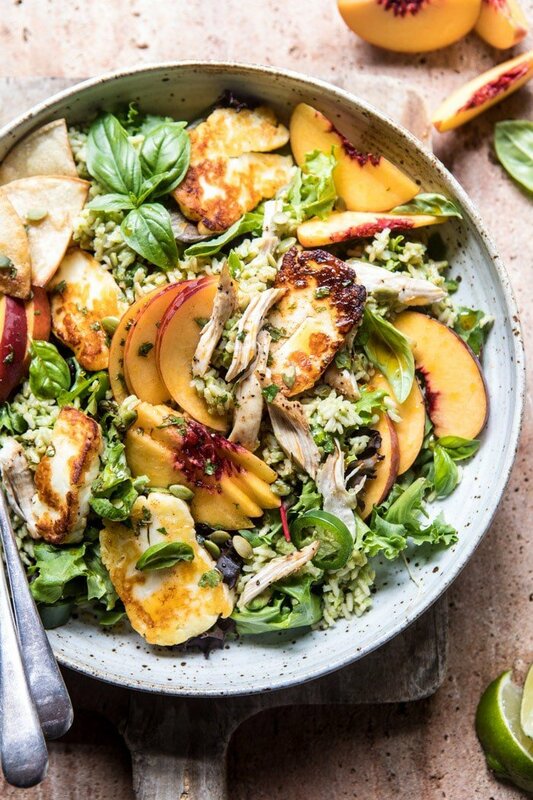 Your salad looks absolutely delicious especially with all peaches! Ah yes me too! Never fun having a whole salad then being hungry an hour later! 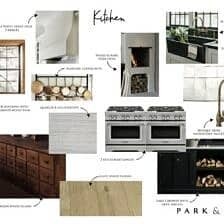 Bring on all the peach recipes…I’ve got a peach orchard close by that’s in full swing right now and I can never get enough this time of year! 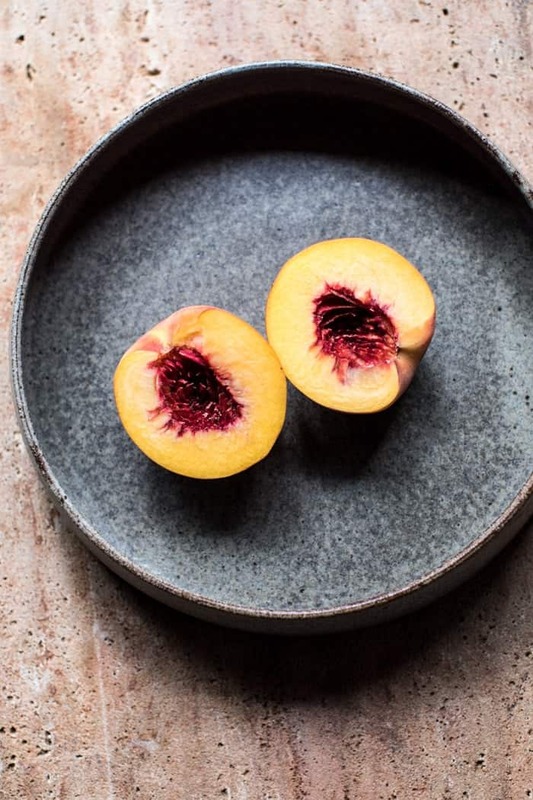 You always deliver great peach and nectarine recipes for me to try out. And speaking of great recipes, I made your Heirloom Tomato Cheddar Tart the other night and I had to reign myself in as I could have eaten the entire thing myself! Wow your so lucky!! Sounds amazing. Yay! SO happy you made the tart and liked it! haha! A rotisserie chicken will be great!! 🙂 I would do the same! This looks absolutely incredible! Everything in this salad looks and sounds amazing . 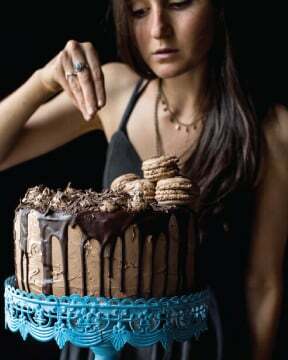 . . I’m drooling right now! I think textures make a salad come together almost as much as the flavors do, and the textures of everything (crispy, crunchy, chewy, etc.) look perfect! I love that you get inspiration while you’re hiking . . . exercising & being alone with your thoughts is when all the best inspiration strikes. 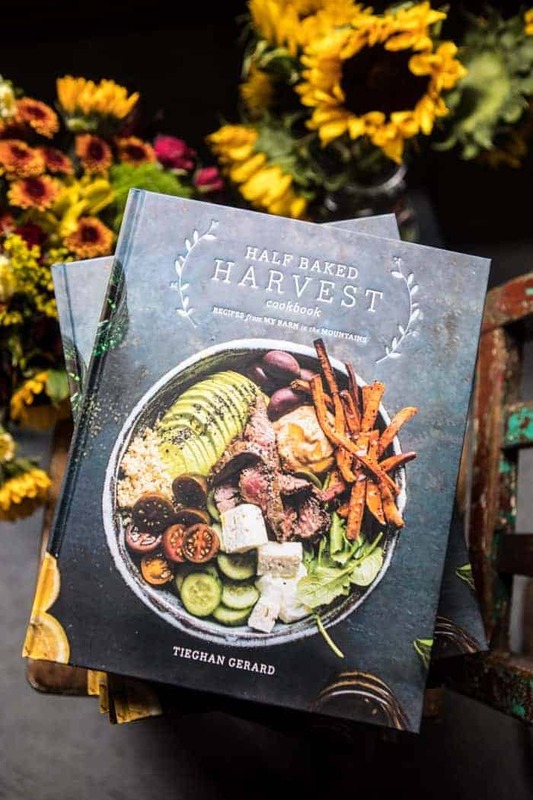 Thank you for sharing this jaw-dropping salad! Awh thank you so much Brynn! Textures are totally what makes the salad! It’s when my thought process is the clearest! Hope you have a great day! 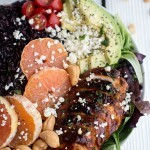 This looks like the perfect summer salad, I love the mix of different flavors! (And I think it works great for all vegetarians too, if you leave the chicken out.) Yum! Thanks so much Alice!! So happy you like it! Thats so nice to hear (: Thanks Natasha! Thank you Carole! I am thrilled you loved this dish! I made this tonite for dinner. Had my doubts. I’ve never had houllimi cheese before but I’m such a fan of your site and have never been disappointed. It was wonderful. All the tastes, textures blended beautifully. I don’t eat chicken so it was s great meal to share with my carnivore partner. Well done. Thank you. Ooo one of my favorites for sure.. So glad you enjoyed this! Thank you so much Barb! This salad was delicious! I love that you used halloumi a favorite of mine. There were many flavors but they went together so well YUM! Yay! Thank you Laura! I am so glad you loved this! I am so happy you loved this Gia! And aren’t homemade chips just the best?! I love making them! Thank you! Made this tonight for dinner. To die for. I marinated chicken breasts in the vinagrete and grilled them then shredded them. So good! So many flavors and they all stood out but they all melded. Yum! So happy you loved this Becky! YUM this dinner was soooo good! Every single ingredient made it that much better. The dressing…the avocado rice (I did a quinoa/rice blend), and the cheese!!! YES to the cheese. Love dinners like this! 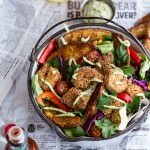 So creative and hearty and healthy! Do you think the avocado rice will keep for several days – will the lime juice help with that? 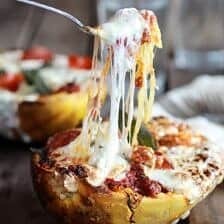 I want to make this and eat it for a whole week! Hey Annie! The rice will brown slightly, but mine lasted about 4 days with pretty good color! Hope that helps and enjoy the salad! 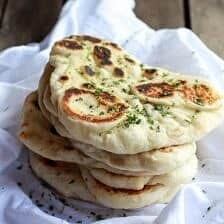 This was such a great recipe, really unique with lots of great flavors. One of the better salads I’ve ever had. Absolutely love this salad. It doesn’t only taste very good but it looks impressive on my table to. How long before dinnertime can the halloumi cheese be fried and add to the dish? As a salad HATER I am nervous about any salad I try. 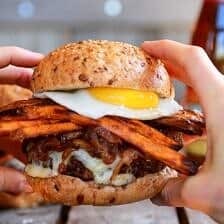 I’ve only found 1-2 I enjoy eating, and I can now add this one to my list! I was nervous about the peaches in the salad, but they were absolutely delicious and a must! It was also easy to meal prep this for work, as all I needed to do was prep the vinaigrette and the rice, then pack it all up each morning. 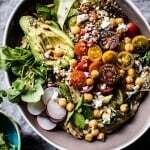 Though I still like pasta and pizza more than salad, I definitely am keeping this salad in mind for when I need to be healthy(ish). It had everything you could need in a meal and was super filling! That is SO amazing to hear! Thank you so much Emma! I made a few modifications (quinoa instead of rice, peas instead of peppers, shredded harvati instead of hallmoui) but omg this was beyond amazing and very filling. I will DEFINITELY make again. I am so glad this turned out so well for you Kim! Thank you!